IKEA is a favorite among budget-conscious consumers. If you're looking for affordable furniture, they have an array of stylish, durable options that fit most home styles. For frugal shoppers in the market for a sofa that can hold up to everyday use in a home with children and pets, a Kivik loveseat is a good choice. With all the money you save on the couch, you will probably have enough left over to pick up the matching Kivik footstool. The sofa comes in a variety of shades of blue, grey, black, brown, and beige that will fit most standard indoor color pallets. Any parent knows that trying to keep kids from sitting on the wide arms of a couch is a losing battle. The arms hold up fine, even with the wear, tear, and weight of rambunctious family members, friends, and pets. A year later, they still look brand new. The seat cushions are made of memory foam which will mold itself to the shape of your body for extra comfort and support. After a year of use, the Kivik sofas have proved to be as comfortable as they seemed in the IKEA showroom. The fabric is easy to remove and machine washable. The fabric that we chose was a nubby weave, which has probably helped the sofa's staying power because the fabric still looks new. ﻿Cotton fabrics can be less durable and show wear faster than other fabrics, so parents with young children or pets may want to choose a more durable fabric. Using a separate fabric sofa cover is another great way to lengthen the life of your furniture and prevent stains. One complaint about this sofa is that the seat cushions are constructed in a way where they cannot be flipped. Many people prefer to flip their sofa cushions regularly, just like flipping a mattress, to allow the cushions to wear evenly. Though the cushions still look great a year on, the inability to hide stains by flipping a cushion may bother some owners. The back cushions can be flipped, though. One of the downsides of IKEA products is that, unless you want to spend more on IKEA's furniture building service, you must assemble it yourself. While many find the directions easy to read and follow, others find the minimal directions frustrating. The cushions come vacuum sealed and require two to three days to inflate fully before they can be used and the sofa cover must be ironed which is no small task. 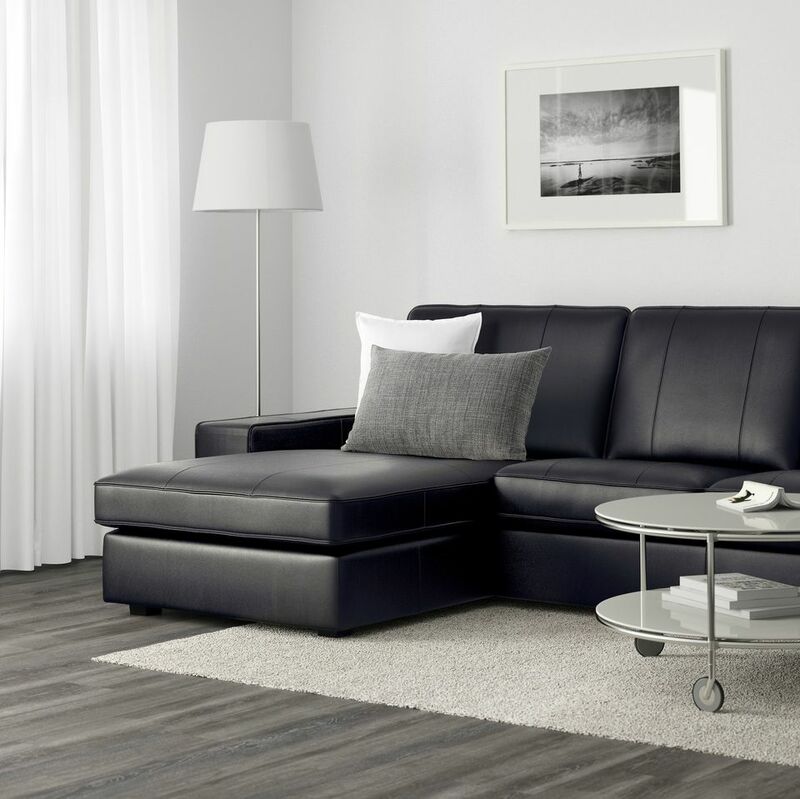 Though only time will tell the true nature of the Kivik sofas from IKEA, after a year, many owners remain happy with the quality and the comfort of their furniture. IKEA is a great brand for shoppers who want the look of high-end furniture without the high-end price tag. When Should You Replace Your Furniture? What Are the Keys to Success to Running a Furniture Store?